The former Ninja Sushi at Ward Village is now Ginza Sushi and has the same management, but offers even more new dishes and specialty rolls. I had the Chicken Katsu Teishoku, and it was quite a lot of food for just $10.95. 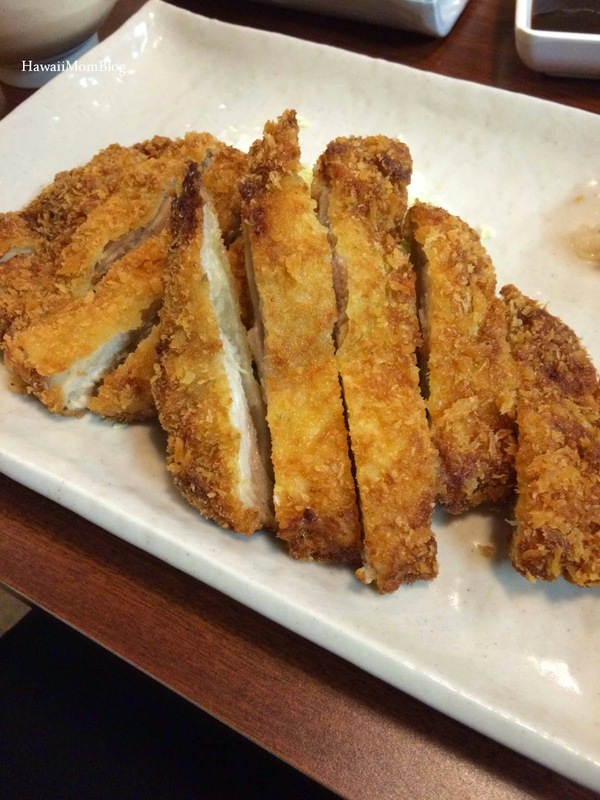 The katsu was crispy on the outside and tender on the inside. I did think it lacked some flavor, but overall the entire meal was good. 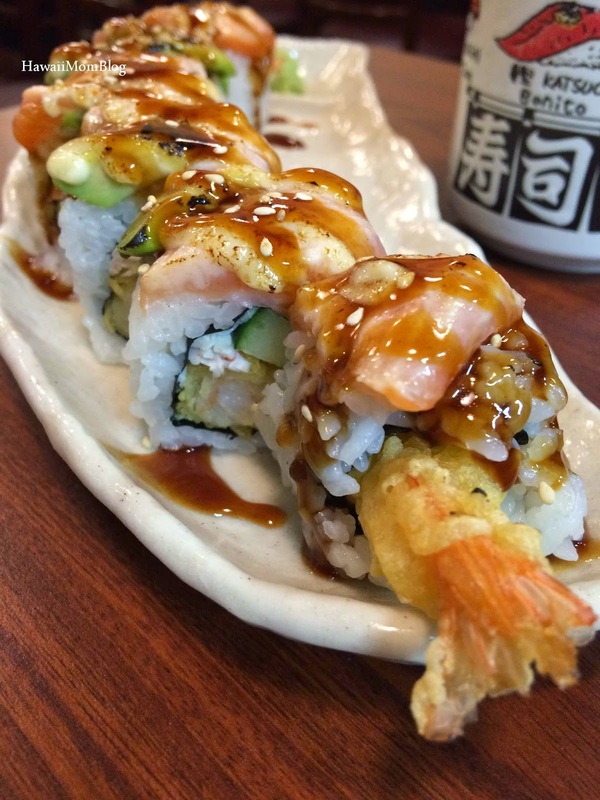 My friend @hiteastyle ordered Jen's Paradise Roll, which consisted of Shrimp Tempura, Cucumber, Salmon, and Avocado. Despite asking for no avocado, the roll still came with avocado, so my friend simply took off each piece. Fortunately, she did enjoy the roll. 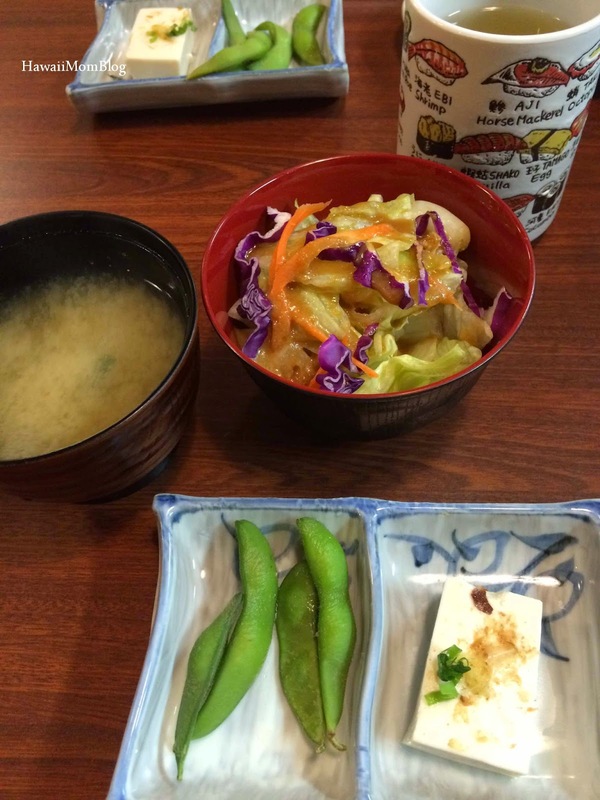 Ginza Sushi offers a lot of other dishes - maki, combo bentos, donburi, udon, and even a junior plate for kids 12 and under! Service was prompt and friendly (they even offered to split the check for us), and Ginza Sushi was a nice spot to grab a quick, casual, yet filling dinner.